How does the procedure for selecting new judges works? The round conference titled "Was the CCU actually relaunched?' will be held in the press center of Gorshenin Institute. The selection of candidates on a competitive basis started for the posts of judges of the Constitutional Court of Ukraine started in November. Based on the results of this selection, the Verkhovna Rada and the president should appoint two CC judges each, and the Congress of Judges will appoint one. 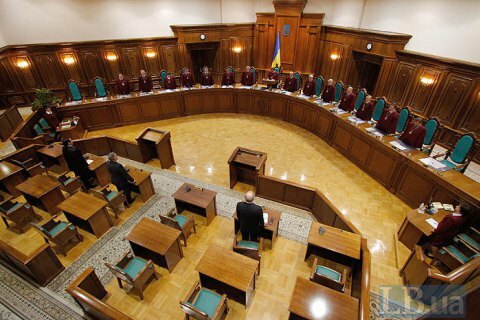 How the selection of judges on the quota of the Verkhovna Rada is moving on? What is the procedure for the selection of judges on the presidential quota? What are the obstacles during the selection process? What is the stance of the general public? Should we expect unblocking of the CCU work after vacancies are filled? The round table will be moderated by Natalia Sokolenko, Deputy Editor-in-Chief, Public Radio. The event will be broadcast live on RPR Facebook page and on LB.ua. Additional information and accreditation: Inna Nerodik, +096 119 7337.